The floral note of the tea pairs perfectly with the mango in this drink! Steep STL Green Tea with Jasmine in hot water for 5 minutes then leave to cool. 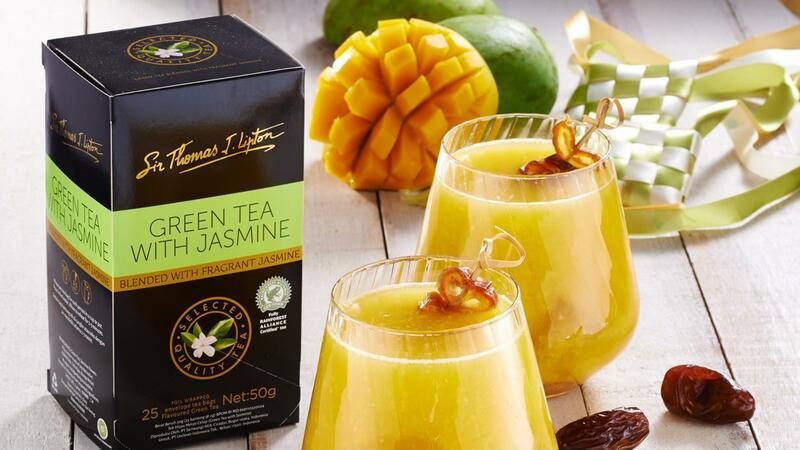 Place the mango, date syrup and green tea into a blender. Puree until smooth; add sugar syrup according to taste. Pour into two glasses with some ice cubes. Sprinkle some chopped dates over and serve chilled.